The Bunkhouse cabin is a perfect example of cabin life. 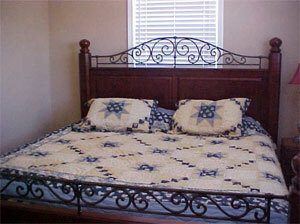 The rustic design makes you feel like life has slowed down - at least for a few days. 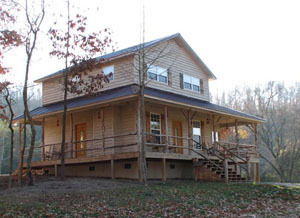 Imagine rocking your stress away on the wraparound porch or watching the children catch fish out of the pond. 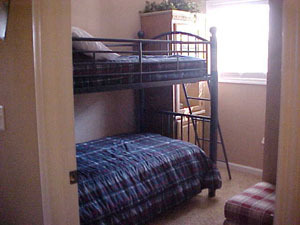 Perfect for a large family get together or youth group trip. 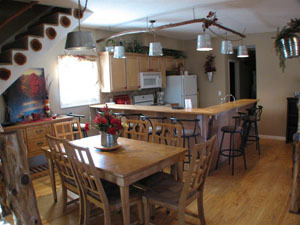 The open design of the kitchen and dining area has been decorated in a rustic county style with bucket light fixtures and plenty of seating around the table and kitchen counter. Decorated in a rustic county style the living area is very inviting with warm wood floors, stripped bark pillars and stair rails of natural wood. During the winter you can enjoy the warmth of the gas fireplace while watching the oversized TV. You can even tickle the ivories on the upright piano as you gather with friends and family in the evenings. Generous covered wrap around porch to enjoy summer evenings. Hike the 30 + acres or bring your horse to ride. Fish in the three ponds on the property (catch & release). Plenty of parking for trucks and trailers with access to the lake just a few miles down the road. We have added a covered, double pull through parking area with electrical hook ups to recharge your boat batteries. Access to Guntersville Lake just a few miles away. 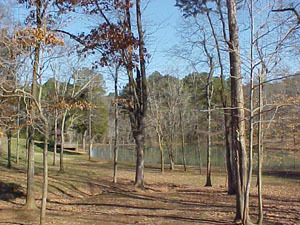 View or walk over to the pond from the wrap around deck. 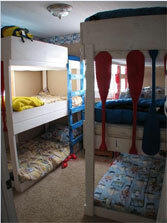 This roomy five bedroom & two bath cabin is perfect for a large family get together or youth group trip. The living room boasts comfortable furniture with an open kitchen with bar counter as well as an adjoining dining area. 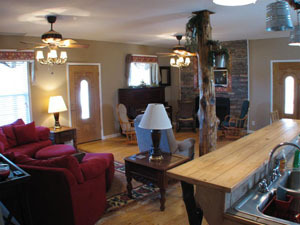 Decorated county style with bucket light fixtures and stair rails of natural wood, the main room is accented by the gas fireplace. 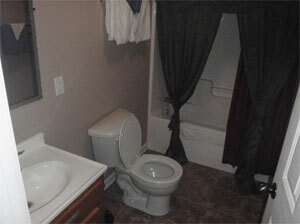 One bedroom & one bath on the main floor with the remaining four bedrooms & one bath on the second floor. Generous covered wrap around porch to enjoy summer evenings. We have added a covered, double pull through parking area with electrical hook ups to recharge your boat batteries. Hike the 30 + acres or bring your horse to ride through the adjoining State Park trails. Fish in the three ponds on the property (catch & release). Plenty of parking for trucks and trailers with access to the lake just a few miles down the road. Call us for more information! Sleeping Accommodations: 3 Kings & 8 Single Bunk Beds. 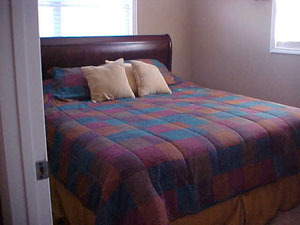 Lodging Tax applies to rental fee at 10% and a $60.00 Cleaning Fee is required.